Cameron University and Advanced Systems Technology, Inc. Southwestern Oklahoma State University and WestOak Industries, Inc.
AST has been a leader in developing the reputation of CU’s Department of Multimedia Design, which was formed in summer 1998 and offered its first classes the following fall semester. In September 1998, AST, through Ned Nelson, agreed to partner with the new department in establishing a multimedia/instruction design internship through the Oklahoma Center for the Advancement of Science and Technology (OCAST) Research and Development Intern Partnerships program. During the first year, CU’s Department of Multimedia Design provided AST with one intern to aid in the production of computer-based training for correctional officers. During the next four years, AST hosted 28 interns who focused on developing instruction in the handling of DNA evidence and on the development of the Federal Law Enforcement Training Center distance learning program. EOMC has recognized that southeastern Oklahoma experiences difficulties in recruiting and retaining qualified radiologic technologists. As a result, in January 2003, the Le Flore County Trust Authority, for EOMC, and CASC formally established a partnership to develop a new radiologic technology program to meet the staffing needs in the area. CASC worked to develop the academic program, while EOMC agreed to assist with seed money, serve as a clinical learning site and provide space to house the program at EOMC. The first class of students was selected, and the radiologic technology program officially began in August 2003. While CASC is the sponsoring institution for the program and provides primary funding, EOMC provides office and classroom space, as well as utility costs. Additionally, EOMC makes one of its radiographic rooms available as a learning laboratory every weekday afternoon, saving CASC the considerable expense of purchasing expensive equipment and film for student laboratories. Armstrong Bank has taken pride in delivering world-class customer service in eastern Oklahoma since 1909. Family-owned since 1922, the bank is staffed with local residents and encourages staff involvement in all aspects of service to the community. Since 1988, the bank has been a proud supporter of CSC and the Connors Development Foundation. As part of the partnership, bank employees have been allowed to make presentations to college classes and have served as guest speakers at a variety of CSC functions. Armstrong Bank also has contributed monetarily to many of the programs sponsored by CSC and provides banking services to CSC faculty and staff members. Numerous CSC students have been hired as part-time employees of the bank, and a number of full-time bank employees are graduates of CSC. The bank has helped provide leadership for the Connors Development Foundation, including serving as a major sponsor of the construction of a new student housing facility. The bank has pledged its continued support of CSC and the Connors Development Foundation, through continuing the support, leadership and services they have provided in the past. The Chickasaw Nation has become a staunch supporter of both higher education and economic development in partnership with ECU. Through the leadership of Gov. Bill Anoatubby, the Nation supports numerous projects in this partnership. At ECU, the Nation supports numerous internship and graduate practicum experiences for students majoring in a broad spectrum of academic areas. Employees of the Nation also are assisted through the partnership as the Nation continues to seek opportunities for partnerships to enhance the professionalism of employees. Gov. Anoatubby ensures that the Nation is active in workforce and economic development, providing representation at all meetings related to these topics. The Nation also assists the Ada Jobs Foundation, the Ada Chamber of Commerce, and the Ada Industrial Development Authority in identifying opportunities for job creation and business retention and expansion. In conjunction with ECU and the Pontotoc County Technology Center, the Nation works to create training programs needed in their area of the state. EOSC and MRHC have a long-standing partnership in working with students and staff in EOSC’s registered nursing program. MRHC can be credited in working with EOSC toward assisting students in the health care profession in a number of ways. MRHC serves as a primary clinical site, allowing students to receive hands-on guidance and training from employees who act in the capacity of clinical adjunct faculty. MRHC offers tuition reimbursement for its employees who complete EOSC’s nursing program. Additionally, MRHC provides funding for students to attend college and matches scholarships through Physician Manpower Training. This program is hosted by EOSC and allows potential and current nursing students the opportunity to apply for and interview for tuition funds. Numerous EOSC students are employed by MRHC as nurse externs, providing them opportunities to earn full-time positions upon graduation. Recently, EOSC and MRHC, in addition to other partners, earned a $1.7 million Department of Labor grant that willl allow for expansion of the nursing program and provide equipment for a new medical lab at EOSC’s McAlester campus. The lab will be shared with MRHC for training of current students and MRHC staff. MSC and the Chickasaw Nation, through the leadership of Gov. Bill Anoatubby, have partnered in numerous projects. Tishomingo is home to MSC and is also the historic capitol of the Nation, and the city was named for Chief Tishomingo of the Chickasaws. While the partnership between MSC and the Nation has existed for many years, the relationship has inspired three recent projects. The Tishomingo Softball/Baseball Complex features four ball diamonds and a concession stand and serves as the home complex for MSC’s softball and baseball teams. A new water tower for the city of Tishomingo not only serves the needs of the citizens of the western side of town but also solved water delivery issues at the industrial park. MSC saw potential in acquiring the Tishomingo armory being sold by the Oklahoma National Guard. Using this property, MSC and the Nation built a new daycare center and the Chickasaw Nation’s Boys and Girls Club. Additional indoor features include a complete gym and recreation center, which will be open to all area citizens. The leadership provided by Vicki Cossairt, director of human relations at the INTEGRIS Grove General Hospital, is an integral part of the success of NEO’s nursing program. It is imperative that NEO have a good relationship with GGH’s clinical facilities to ensure course objectives are met with high-quality experiences for nursing students. Cossairt embraces this role and goes above and beyond to help grow NEO’s nursing program in Grove and surrounding communities. Cossairt serves as a member of NEO’s Grove Advisory Council for the newly created LPN-to-RN Fast Track Program. She eagerly provides innovative ideas and ongoing support as NEO considers expansion options for its program. Cossairt also stringently supports NEO’s ongoing national nursing accreditation. For example, when the accreditation team reviewed the NEO-Grove campus in 2006, they visited GGH for input from employees, including Cossairt. State Farm Insurance and NSU have partnered together to develop a number of programs that have had a positive impact not only on State Farm and NSU but also on the financial education of prospective accounting and finance professionals throughout northeastern Oklahoma. Through the support of the State Farm Foundation, NSU has developed a CFP® Certification Education Program in financial planning, which is available as either an undergraduate degree or as a non-credit certificate program. The foundation also provided a gift to equip two distance learning classrooms at NSU to allow the program to be offered on both the Broken Arrow and Tahlequah campuses. Most recently, the State Farm Foundation has provided support for NSU’s Master of Science in Accounting and Financial Analysis program. Since its inception in 2001, the program has grown to more than 90 students and serves both the accounting and finance communities. For more than 10 years, the unique partnership between NOC and the Mercury MerCruiser Corporation of Stillwater has perpetuated economic development in northern Oklahoma, as well as prepared the MerCruiser workforce to compete in a global economy. MerCruiser, a world leader in the production of sterndrive marine propulsion lower units, needs employees who can think critically, who are familiar with world geography and world religions, and who understand basic budgetary issues. These identified needs are routinely addressed as an integral part of NOC’s general education coursework. NOC provides these courses through IETV directly to the MerCruiser site through online delivery, and in some cases, through on-site instruction. At the request of MerCruiser, NOC has established a total of five Associate in Applied Science degree programs to provide engineers, technicians and manufacturing specialists with an opportunity to complete a degree. To date, more than 100 MerCruiser employees have either completed or are working to complete their degrees through these programs. In summer 2005, Dr. Robert Hoffman and Paul Ketterman visited with NWOSU representatives about the possibility of honoring Ketterman’s wife, Emma Lee Tucker Ketterman, who had passed away the previous year. Mr. Ketterman appreciated the care that had been given to his wife by a NWOSU nursing graduate and wanted to help train more nursing students. Through his gift to the NWOSU Foundation, the Ketterman Simulation Laboratory began to develop. In order to make the laboratory a reality, NWOSU established partnerships with NOC, Bass and St. Mary’s. NOC provided a SimMan, a portable and advanced patient simulator, from a grant that they received. Bass and St. Mary’s share the salary of a full-time lab coordinator. Hoping to address the interest of many in the Hispanic community to establish their own businesses, the Greater Oklahoma City Hispanic Chamber of Commerce and OCCC established a partnership in 2005. Both the chamber and OCCC recognized that the entrepreneurial spirit in the community was strong – but the chances of success were not – and both hoped to make the potential for success equal to the desire for business ownership. The chamber and OCCC received an economic development grant from the Oklahoma State Regents for Higher Education to allow for the development of the OCCC Business Assistance Center. The center provides business consulting and professional development classes and seminars to owners of new businesses and potential business owners. All services are free of charge and help the center’s clients develop their ideas into productive, successful businesses contributing to the economy of Oklahoma City. A one-stop shop, the BAC provides entrepreneurs assistance in launching, incubating and expanding their businesses. One-on-one consulting sessions, printed materials and educational opportunities are all provided to clients. In addition, the project includes a business incubator, a place where a new business can have essential support and services during its formative years. TCEC and OPSU have been in very strong growth processes in recent years, and through a mutual relationship, both have grown together in several areas. From overall partnerships and facility enhancement to financial considerations and technology sharing, TCEC and OPSU participate in several mutual endeavors. Both are committed to making their communities better places to live, and, therefore, have joined forces for a new project, “Community Service Learning.” Financed by TCEC, senior-level OPSU students work in functional positions with area not-for-profit agencies, allowing the students to learn on the job and the agencies to benefit from the assistance. When OPSU announced plans to construct a new Science and Agriculture Building to respond to the need for more academic programs, research and technology, TCEC immediately stepped up and provided a generous initial contribution, as well as a large amount of free electrical work on site. Once the building is completed, both partners will work together in more specific areas of technology sharing. TCEC currently employs numerous OPSU graduates and plans to hire more in the future. It encourages participation in an in-house educational reimbursement program, and many employees take advantage of this program through their studies at OPSU. In addition, TCEC sponsors a yearly scholarship for an OPSU student. Broaden perspectives about themselves and others. Increase their global networking knowledge. Clear a pathway to successful living within a global society. OSU has partnered with Williams to provide funds in support of student stipends, awards and internships for ILP. In return, OSU connects some of its most outstanding students with Williams, developing a more global perspective for both summer internships and employment after graduation. The program is two-fold. The teams first compare the attributes of leadership learned with those demonstrated by successful business leaders from Williams, whom they have interviewed and shadowed for a day. The teams then develop concept papers based upon their knowledge of leadership and the leadership modeling demonstrated by the successful leader they have met and researched. Four years ago, representatives of OSU-OKC and OGE began discussion about a possible power transmission/distribution technical degree program. Today, that discussion has become a reality with the Power Transmission Distribution Technology Associate Degree program at OSU-OKC. Each fall, between 25 and 30 students enter the OSU-OKC program, which is offered in eight-week blocks of instruction, skills training and internships. Many of the students are OGE employees who are interested in advancing their education, skills and careers. By completing an Associate of Applied Science degree in power transmission and distribution technology, students complete courses geared directly toward training for the utility field, as well as general education courses. To help facilitate student learning, OGE has donated poles, trucks and equipment, as well as truck maintenance, to OSU-OKC’s unique program. In return, to expedite transition to the program for OGE employees, OSU-OKC has conducted on-site enrollment at OGE regional offices. CVRH, located in Yukon and one of the premier health care providers in Canadian County, and RCC partnered to explore staff training needs. As a result of meetings between RCC staff members and CVRH’s human resources and nursing administration staff, focus groups were conducted that indicated a need for nursing orientation and preceptor training. RCC then worked with CVRH to establish a framework for developing and implementing at nursing orientation program and a formal preceptor training program. In August 2006, as part of a training package training designed to address the goals of reducing employee turnover and increasing employee retention, RCC delivered preceptor training for CVRH employees. In addition to the employee training, the establishment of the partnership provided RCC with much-needed data for its nursing program. As training needs were defined and documented, the RCC nursing instructor working on the project was able to understand the effects of RCC’s nursing program curriculum on the work environment and satisfaction of new nurses. In 1981, CRH and RSU worked together to establish RSU’s Associate in Applied Science degree in nursing. Since that time, RSU and CRH have enjoyed a long and productive partnership. CRH provides clinical facilities for RSU’s nursing students. By having access to patients, students gain valuable practical experience in a controlled learning environment. CRH also provides clinical facilities for students enrolled in RSU’s emergency medical services program. Clinical teaching labs on the RSU campus have been equipped by CRH, including instructional videos and computer learning systems, equipment for a new acute care nursing lab, a new birthing suite and EMS equipment, all of which provide a better learning opportunity for students. CRH also provides scholarships to RSU through an endowed scholarship program for nursing students. The Hospital Auxiliary, a volunteer group located at CRH, has also contributed significantly to this scholarship fund. Recognizing the quality of graduates of RSU’s nursing program, CRH is a major employer of RSU nursing graduates. A distinguished partner of RSC and the RSC Foundation, MRMC is an asset to the community and to higher education. Located in Midwest City on the eastern edge of the Oklahoma City metro area, MRMC provides comprehensive medical care, from diagnosis to treatment, for a full range of illnesses, injuries and disorders. With a history steeped in tradition and giving, MRMC has assisted the RSC Foundation in numerous ways during the past few years, including taking the lead role as title sponsor for the First National Bank Charity Golf Classic to raise scholarship funds, assisting in the establishment of the Dr. James J. Cook Presidential Leadership Council Scholarship and sponsoring the Lunch with the Stars event, featuring Tom Bosley and Michael Learned, to raise additional money for scholarships. In addition, MRMC also collaborates with RSC’s Corporate Training division to enhance the hospital’s employee development program. RSC and the MRMC work to provide new and aspiring nursing students with world-class internships and clinical experiences. The Pre-Employment Training Series was established by MRMC CEO Doug Arnold to provide skills-related training to job applicants seeking a position within MRMC. A long-time partnership between SSC and the Seminole Nation has benefited the economic climate and celebrated the cultural diversity of many communities in central Oklahoma. Through SSC’s Business and Industry Training Program, numerous training seminars, workshops and conferences have been conducted on the SSC campus and at the Nation’s tribal headquarters. A wide variety of individuals have attended training in areas such as child care, computer literacy, family counseling, criminal justice and casino surveillance. In order to raise awareness and create sensitivity to cultural diversity, SSC organized and implemented a program at the local high school, featuring Seminole Nation artists, musicians and historians. Ties between SSC and the Nation have been greatly strengthened through the leadership of Chief Enoch Kelly Haney. His commitment to education is evidenced by the Nation’s strong encouragement of and financial assistance provided to students attending SSC. He serves as a trustee of the SSC Educational Foundation and has supported SSC through national and international education efforts, such as traveling on behalf of SSC to several locations, including Chicago, Mexico and China. SSC provides state-of-the-art facilities for job fairs, health fairs, economic development meetings, pageants, holiday events and cultural diversity programs for the Nation. As one of the largest employers in Durant, the MCSO understands the necessity of high-quality education and the importance of supporting such endeavors. With a large number of employment shortages in the medical field, MCSO has collaborated with SOSU to assist in educating and training students for careers in the medical profession. MCSO has endowed a professorship in biomedical sciences at SOSU. The professorship strengthens SOSU’s ability to provide excellence in teaching, research and training health care students, while allowing SOSU to attract and retain the best faculty in a highly competitive market. To assist in the completion of the Student Health and Counseling Center Suite in SOSU’s new student union, MCSO has pledged monies and will continue to support such programs. MCSO is a staunch supporter of SOSU’s nursing program, working with students by providing shadow opportunities and weekly clinical experiences. MCSO then employs students as nurse techs during their junior year. The Pink Ladies, MCSO’s volunteer organization, provides scholarships to several local students each year. MCSO also hosts an annual dinner in honor of graduating seniors, which serves both as a recognition of the students and as a recruitment tool for MCSO, which retains many local students after graduation. WestOak Industries, Inc., and SWOSU have partnered together to offer business student interns the opportunity to gain practical experience in serving in an advisory capacity for small business owners. WestOak has been a leading Oklahoma manufacturer of circuit board assembly since 1973. After communicating at length with the company’s general manager, Larry Rosson, SWOSU student interns conducted a market analysis to determine where the company stood relative to its competitors and how the industry has changed in recent years. The market analysis showed WestOak ways in which it could improve its market potential. The interns also conducted a capital asset acquisition study for WestOak. The interns learned valuable research skills that will carry over to future projects. They also learned how to use the North American Industry Classification System to identify potential competitors, suppliers and customers. In addition, students learned how to create a quality questionnaire, which helped them interview competitors for the market analysis. Since its inception in 1993, the educational partnership between TCC and the UAW/Ford Joint Program has provided training and lifelong learning opportunities for hundreds of Tulsa Glass Plant employees and their spouses. 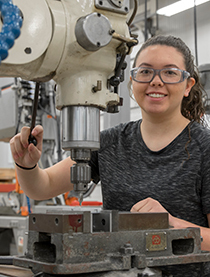 Funded at the national level by the UAW and Ford, the educational program is housed in a fully equipped Learning Resource Center at Tulsa Glass Plant and coordinated by two full-time TCC faculty members. Ford provides the building and UAW pays the wages and benefits for the instructors, as well as supplying furniture and equipment, including two computer labs. The partnership encourages the plant’s hourly employees and spouses to participate in educational activities and skill enhancement programs through communication with TCC faculty and LRC staff members at annual education fairs, monthly open houses and periodic surveys. While TCC has offered a broad range of university parallel and personal enrichment courses to plant employees, a highlight of this partnership is the Computer User Certification Program, which has trained more than 200 individuals to date. To ensure the quality of lifelong learning opportunities for plant employees, the Education Development Training Program committee, which includes TCC faculty members, meets monthly to define goals and objectives for skill enhancement programs and the educational training staff. WOSC has formed a partnership with a consortium of area hospitals, and through the dedication and willingness of these facilities to cooperate with WOSC, the number of registered nurses produced by WOSC each year will increase from 20 to between 88 and 100 to meet the needs of southwestern Oklahoma. The initial partnership with area hospitals began with a commitment from JCMH, a long-time supporter of WOSC. This relationship has provided three endowed professorships – two in nursing and one in radiological technology. Approximately three years ago, through a collaborative effort, WOSC was asked to discuss the possibility of initiating a much-needed two-year registered nursing program in Lawton. After visiting with CCMH, SWMC, DRH, and MHPG, WOSC presented a proposal for expanding its associate degree program to Cameron University in Lawton. The financial support from each of these facilities has allowed for the expansion of the program.